Practical and effective project management has its roots in SIMPLICITY. Keeping a thing simple makes it easier to understand for most stakeholders e.g. project stakeholders can provide requirements in simple terms - teams unambiguously, they can set clear expectations. Project stakeholders can measure project success in terms of benefits it delivers. These days all of us are expected to be efficient. Always! So, if efficiency is expected from everyone, how can we make the difference? By being EFFECTIVE. Here is a 6 steps approach to do effective project management for your organization and drive better results. Who are the project stakeholders, who are going to be beneficiaries? What are the outcome-benefits expected by various stakeholders? Based on these benefits, how you can garner buy-in from senior management or customers? Let�s look at these six basic steps for effective project management: project planning and project execution that a project manager can follow in almost every project to ensure project is delivered successfully. In most cases, unclear project requirement definitely results in project failure. Right at the beginning ensure all relevant stakeholders understand project requirements clearly and the importance of having unambiguous project scope. It is pretty common these days to see that sales team, project managers working with clients and help him articulate client's requirements. Based on very high level project requirement, you can chalk out project charter, project scope. If you would like to avoid project scope creep, you will have to make stakeholders understand that project scope is sacrosanct. Having said that total inflexibility can also kill project outcome (i.e. project outcome will not be useful or beneficial to customer as expected). You can accommodate change request after reviewing its value to project outcome. It is crucial for effective project management to be able to have complete and clear project requirement, right at the beginning and avoid project scope creep during project execution. You can use right project management tools to draft, articulate project requirements, review and seek approvals, so that transparency and accountability for project requirement is ensured. Nobody likes bad surprises, get your projects, teams and communication organised. The best project management tool will help your customer or senior project management from bad surprises. 44 percent of project managers do not use project management software; interestingly though top consulting firm PWC has found out that using PM software increases performance. Even today most people rely on emails for day to day communication. But if you are sending emails to stakeholders by yourself, then you are certainly not doing it in the best way, you are spending time on things which are best handled and automated by project management tool. A project management software is indispensable to automate project communication. Any change in project schedule, issue assignment, new risk in register, comments to tasks, issues, risks, project meetings, task due date reminder, project status change notification, etc. will be automatically communicated by a project management system and thereby leaving no manual error for communication gap or manual error in informing project team members, project sponsors or senior management or even customer. Once a project charter and project scope is defined and articulated, you will have to identify project manager and project planners. Having project manager, project planner and team members who are subject matter expert for a project in consideration wins half-battle. As project manager & project planners define work-breakdown-structure (wbs) and identify high level deliverable, identifying right skillset to work on those deliverable is equally important. So based on these identified skillset, project manager has to select resources who will be allocated to project and will be assigned work. The planning phase of project requires well defined project charter and project scope. Based on this project manager can work on project schedule identifying important deliverable, WBS, milestones. As he gets better understanding of project scope, available resources, he can create detailed project schedule identifying minute level details of project schedule : i.e. tasks, milestones, subtasks, allocating and assigning resources to each of these tasks. As we know, detailing leads to questions, questions brings clarity, and clarity drives predictability. Managing project risks is integral part of project management. If your projects are not trivial, whether you like it or not -risk will be inevitable part of your projects. If it is not done as an academic exercise of managing project risks, project risk management saves you greatly from surprises. It is important for effective project management to plan for project risks right at the beginning. 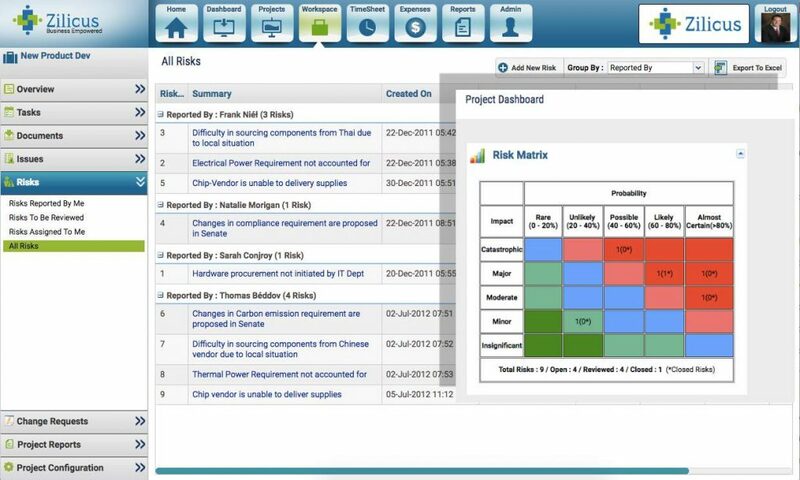 You need to make team members aware of project risks also provide a platform like online risk register where team members and other stakeholders can quickly record & highlight project risks. Now almost everything looks ready on a paper, it is a time for a project team to jump-in and start working on minute level tasks. As mentioned earlier, every team member, vendor, customer should be informed and made aware of clear expectations from them i.e. What information should be updated (timesheet, expenses, document, and deliverable)? It is then become the work to be done on the ground. As team members start working on it, project manager and project leaders can play a role of facilitator, guide/coach so that there is a productive and positive environment for project team. Successful project delivery is not a rocket science. But it is perceived to be complicated and demanding process and if these perceptions are not clarified, it induces errors, risks and makes project go off-track, overrun cost, deliver sub-standard outcome. Though it can be complicated and demanding processes, it can be achieved. As per industry reports, there is still large percentage of project which are delivered successfully (on time, within budget, of desired quality). Following closing points will help you in successful delivering projects. Project Managers Can't Bypass Stress. Question Is How to Deal with It? ZilicusPM is project management software that offers an incredibly simple and collaborative way to manage projects. Try ZilicusPM a powerful tool to stay on top of things with project KPI dashboard. 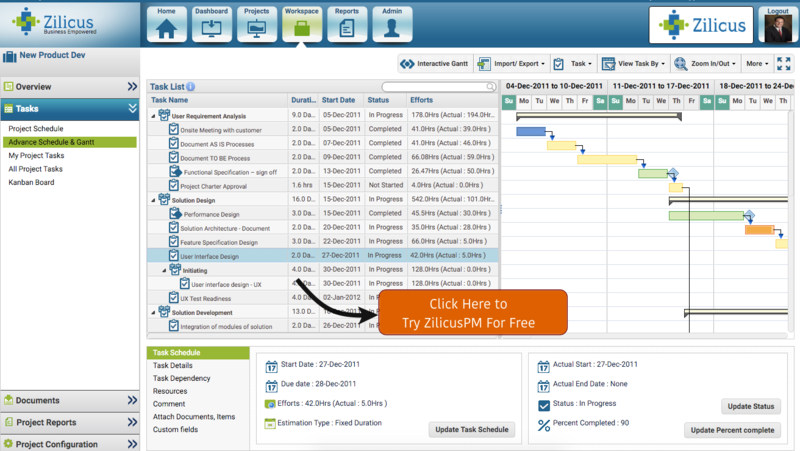 ZilicusPM enables online project planning: WBS, online scheduling, resource assignment, Gantt chart software, project tracking, issue management, online calendar, risk register and much more.